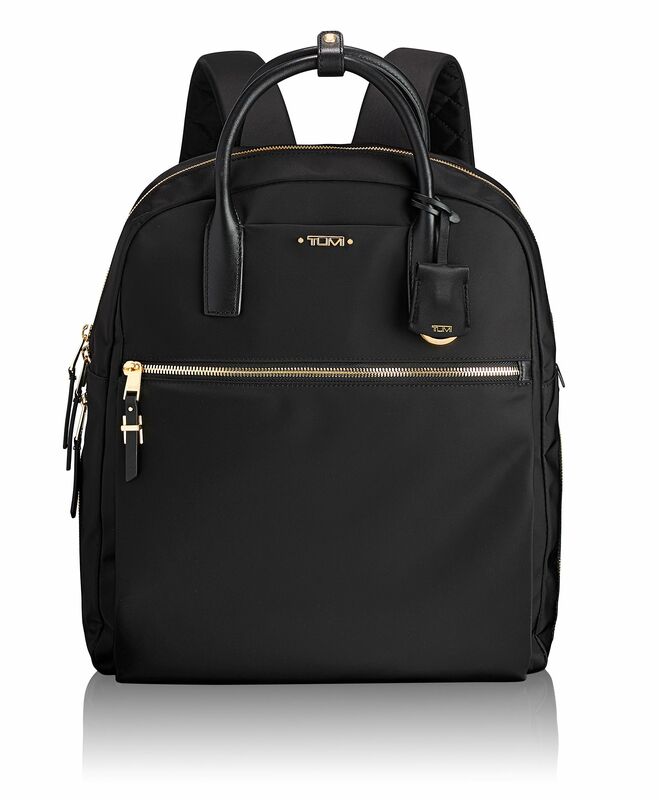 This slim backpack doubles as a tote, making it a versatile option and perfect travel companion. Inside the sleek design you™ll find a laptop pocket, along with lots of other pockets to keep your essentials organized. Purposeful, practical design that doesn™t compromise on style: Our Voyageur collection brings you versatile and lightweight nylon backpacks, bags, and accessories for women.